Go to the Summary Tab of your property. Need help getting to the Summary tab? Click here for detailed instructions. 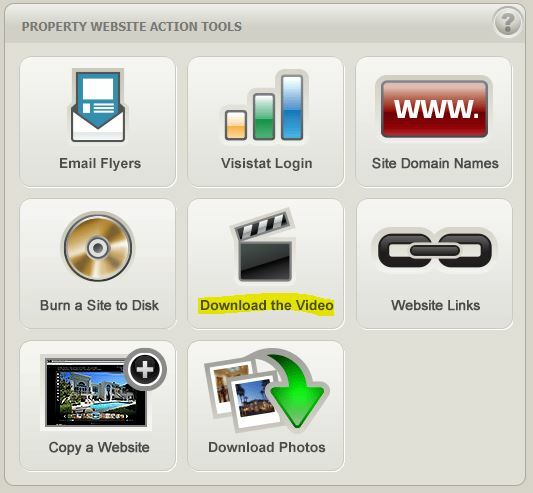 Scroll down to the section labeled “Property Website Action Tools” and click on the button labeled “Download the Video”. 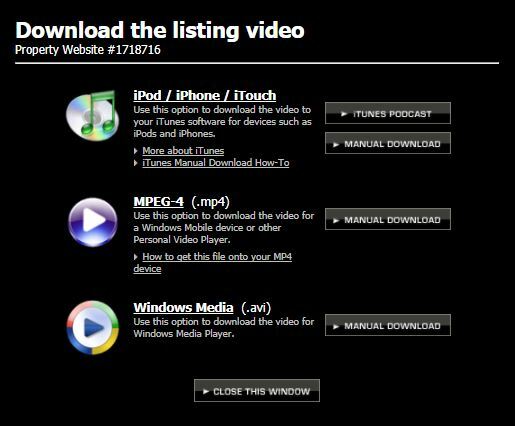 Choose the file type that you would like to download and click Manual Download. If using Internet Explorer, You will be prompted to Save the file once the download is complete. Click the arrow next to Save and click Save as. Now you can choose where you would like to save the video. Please Note: If you are not prompted to choose a place to save the file, check your downloads folder. Click Image To Visit TourFactory.com!